Yours truly? I came into the world on November 2, also known as Day of the Dead (Dia de los Muertos in Mexico or All Saints Day in other parts of the world). My earliest awareness that I had a birthday that was “unique” came from hearing my grandmother brag to strangers that her grandson was born on “El Dia de los Muertos!” Trust me, if you heard how she said it in her mocking Spanish, it sounds funny. Growing up, I didn’t really know what to make of Day of the Dead. Frankly, I always thought that it was a ghoulish-sounding date as, at that time, I really wasn’t much into my Latino cultural roots and I never bothered to research what it meant. 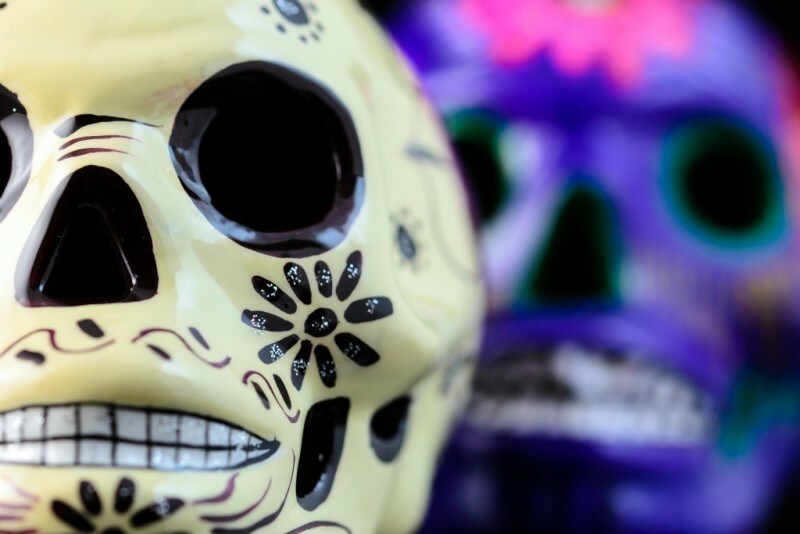 In fact, because Day of the Dead is often associated with images of colorfully designed skeletons and because of its proximity to Halloween, I thought Day of the Dead was some sort of Halloween-like celebration in Latin America. Then I married a Mexican-American and it came full circle. Now, I know and deeply understand that for many Mexican and Mexican-American families like the one I married into, Day of the Dead is a day to celebrate and honor family members who are forever loved and treasured. In Mexico and parts of the U.S., families build elaborate, temporary altars with everything from photos to foods and drinks that deceased family members loved. These temporary memorials serve to remind generations of Latino families of who their ancestors were, what they cared about and why their legacies matter so much. The tradition of painting skeletons on your face is not related to anything dark or scary. In fact, face-painting skulls relates to an Aztec belief about overcoming the fear of death through rebirth. Patzcuaro, Mexico: The sleepy streets of the central Mexican town explode with marigolds, festive colors and flavorful cuisine. Locally referred to as Noche de los Muertos, all-night graveside vigils are held in the villages surrounding Pátzcuaro on November 1. Mexico City: This celebration sprouts marigolds and street side “ofrendas” throughout the week, along with an altar contest and big time museums such as Casa Azul, Anahuacalli and Museo Dolores Olmedo Patiño. And even here in the U.S., you can attend traditional ceremonies in cities such as Los Angeles and San Francisco. Even though I didn’t grow up personally celebrating the Day of the Dead, in my own way, I relate to it more than I ever knew. In my generation I am the self-appointed family historian and I keep meticulous records of our clan through digital archives and on Ancestry.com. I personally possess all of the most important audio and video recordings of my family and, call me sentimental, but one of my top hobbies is researching everything I can think of about my family, especially if it relates to my grandparents and my dad. Yes, Abuela Margarita, the joke is on you. Because today, on my birthday and every day, I fondly recall your incredible legacy in my life. Every day is El Dia De Los Muertos for me. Rather than be afraid of it or puzzled by its mystery, I now completely understand why this holiday is so profoundly important to so many. The land of the living wisely keeps the memories alive. Today and always I personify and embrace the meaning of the Day of the Dead.